The BoroughBox Discovery Club is the best way to discover new and exciting foods from the finest independent and specialist food producers across the country. To celebrate St George's Day we're offering new members an exclusive discount to try our Best of British taster box for under £20. Save £15 by ordering now, plus another £5 for every month that you remain a member. 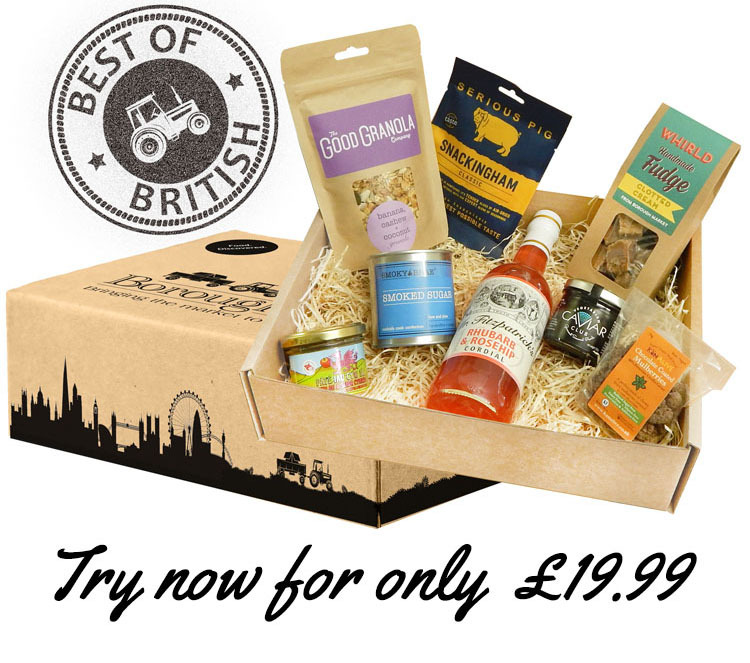 Use code STGEORGE and get our cracking Best of British taster box for just £19.99. You'll also save £5 every month for the lifetime of your subscription on each full club box. We don't tie you down to a lengthy contract so you can cancel at any time. The only dragon you'll need to handle this St George's Day is the one one the label of our delectable Welsh Pate! *Code STGEORGE will give £15 off the first month of a monthly subscription package only. Future months will save £5 so you will be charged £29.99 each month. You can cancel at any time.